We’re officially in December, and living in Canada, it sure feels like winter is breathing down our necks. It’s the perfect time to get cozy, embrace hibernation, and soak in the joys of being tucked in at home. Putting that all together, I thought that in today’s post, I would cover some of my favourite cozy gift ideas that are perfect for the winter months in particular. They’re rooted in the concept of “hygge” which is gaining more popularity these days. 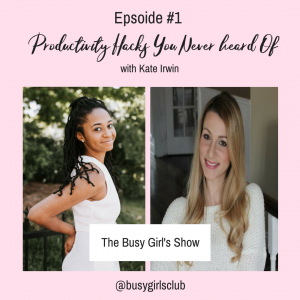 Have you heard of the term “hygge”? According to Wikipedia, hygge (pronounced hue-gah) refers to a mood of coziness, comfort, and friendliness “with feelings of wellness and contentment.” It’s a concept from Denmark and Norway that has gained cultural prominence over time. I, for one, LOVE spending time at home, being as cozy and comfortable as possible, and living in an environment that supports this. So I was excited to hear that there’s a term (and movement!) behind it. As we get deeper into winter and the holidays are around the corner, I thought now would be the perfect time to share some hygge gifts. 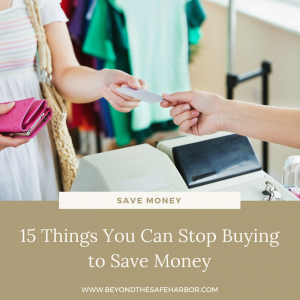 Buy these things for your partner, friends, family, colleagues, or treat yourself! Few things can create a cozy atmosphere like a crackling fire. We recently had a gas fireplace insert installed and we ADORE it. It heats the room, looks beautiful, and makes the space feel instantly cozy. If you’re looking to gift a fireplace, consider an electric fireplace. 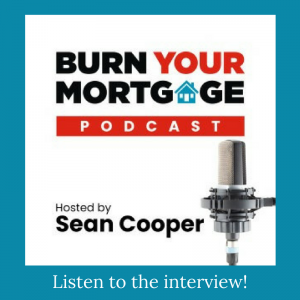 They’re portable, more cost-effective, and come in a wide variety of styles. The mantle electric fireplaces are an excellent statement piece, but you can also find smaller, wall-mounted options that are sleeker. 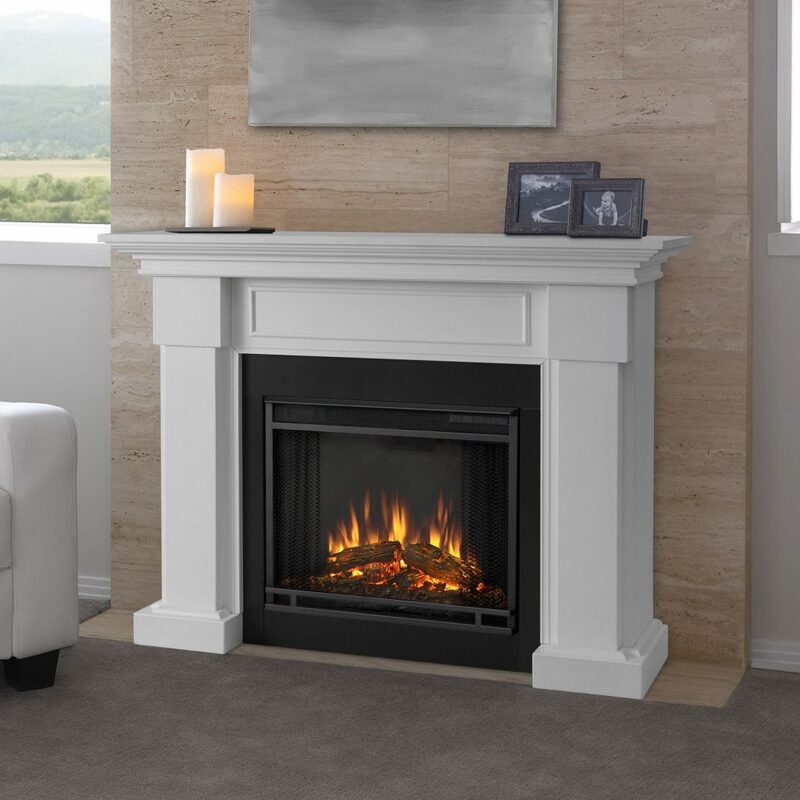 Product shown: Hillcrest White Electric Fireplace by Real Flame on Overstock, though Wayfair has a ton of great options too. I’ve been a candle lover for years, and for good reason. They’re atmosphere changers! I love the scent, the look, and how relaxing they can make any space. If you’re looking for a present, consider a gift set. Voluspa has some gorgeous options here. Or, make your own by gifting a few candles in a pretty box! 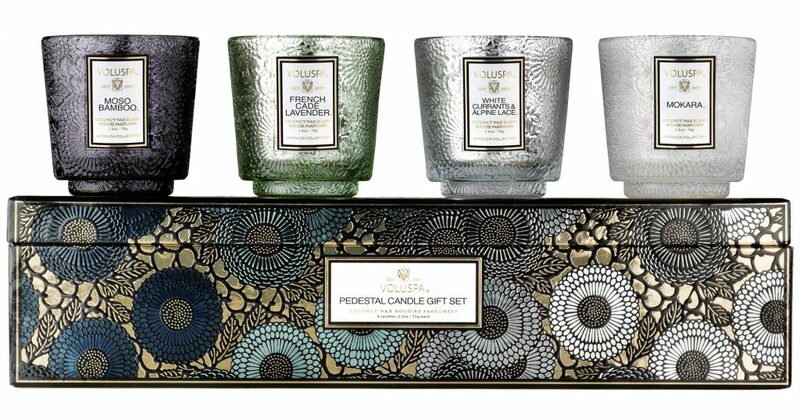 Product shown: Pedestal 4 Candle Gift Set from Voluspa. #3. Hot Cocoa or Tea. I’m pretty sure that adding a cup of hot cocoa to your candlelit fireplace situation is the definition of cozy! It’s warm, chocolatey, and won’t keep you up all night. Sounds like a winner to me! Consider gifting this beautiful Chocolate Coffee and Cocoa Gift Set from Godiva or something similar for the chocolate lover in your life. If you’re instead looking for a tea gift, there are tons of options. David’s Tea is a favourite of mine, and they have a variety of tea gift sets. Or, you could gift a tea subscription! Teabox is a great option. Want to kick your gift up a notch? Throw in a cute mug! 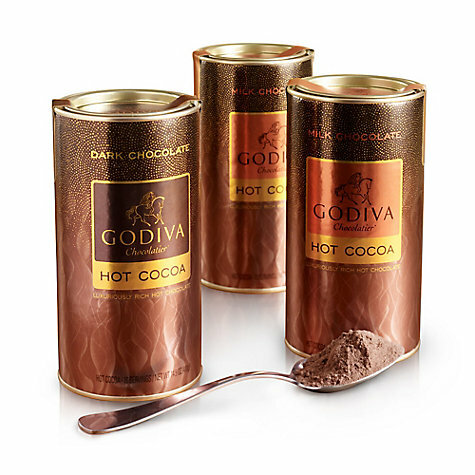 Product shown: Godiva Assorted Hot Cocoa Canister, Set of 3 from Godiva. Throw pillows can transform the look and feel of a room, and they can also make any couch more comfortable. I love the look of layered pillows and blankets in the winter! 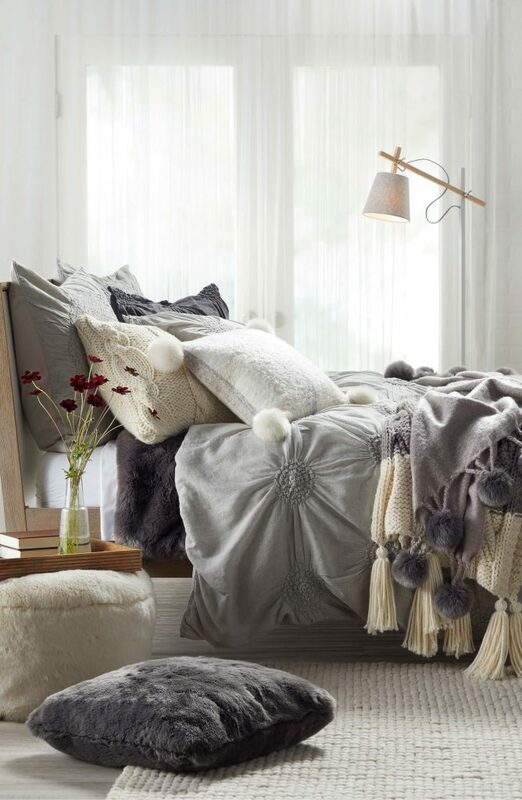 Product shown: Brushed Faux Fur Pom Accent Pillow from Nordstrom. Throws and soft blankets make a great gift because they are practical AND decorative. Buying this in the winter? Consider a heated blanket! Amazon has a ton, many at a great price. 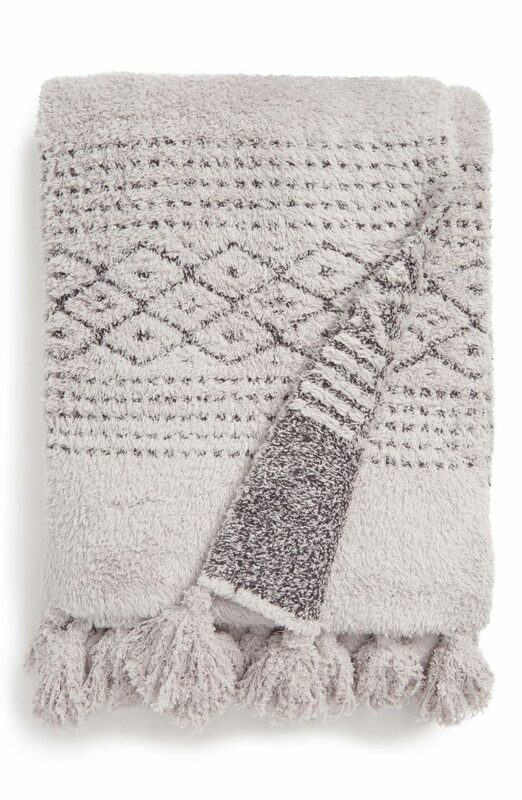 Product shown: CozyChic Luxe Casa Throw Blanket from Barefoot Dreams from Nordstrom. #6. A Practical Bath Caddy. Are you shopping for someone who loves to take baths? 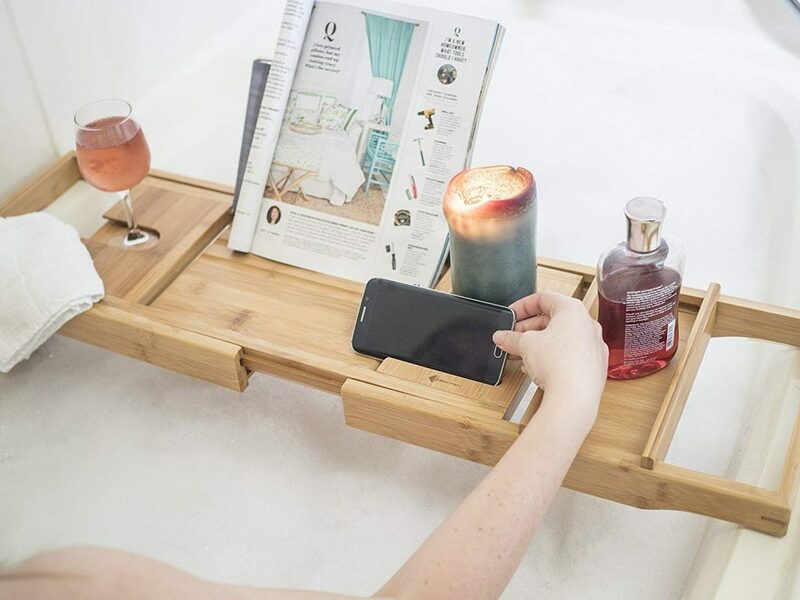 A caddy is a smart way to help them enjoy their soak for even longer, as it gives them space for a book, candle, glass of wine or all three! Product shown: ModernTropic Home and Spa Bamboo Bathtub Caddy from Amazon. I was torn between featuring pyjamas, lounge wear, or a robe. They are all great options, especially for a gift! But I settled on a robe because it’s versatile and easier to shop for if you don’t know the person’s exact size. I have a robe and until recently rarely wore it. But now that the weather’s getting colder, I find myself layering with it in the mornings and at night when I want more warmth and coziness. It’s so easy to throw on, and more portable than a blanket! Product shown: Ugg Braelyn Robe from Nordstrom. #8. Lounge Socks or Slippers. Keep their feet warm and cozy with some delightful socks or a pair of slippers! This pair by UGG has been popular for years, and I totally see why. They’re easy to slip on, have thick soles to keep your feet warm, and are oh-so-soft! 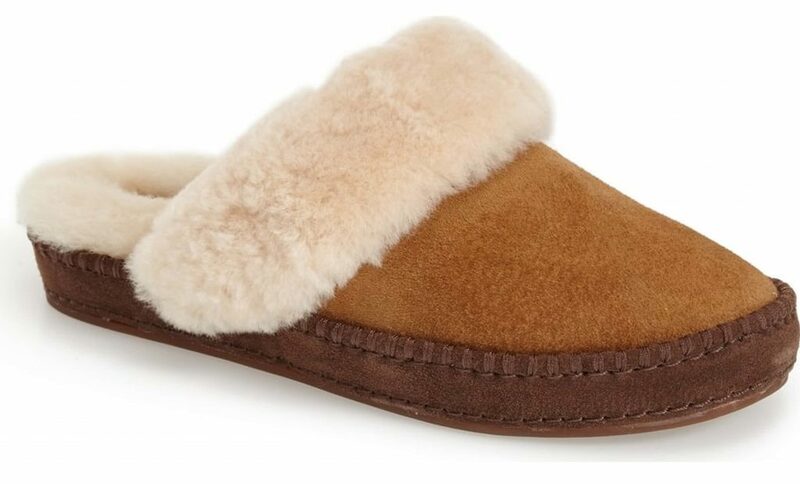 Product shown: Ugg Aira Slippers from Nordstrom. 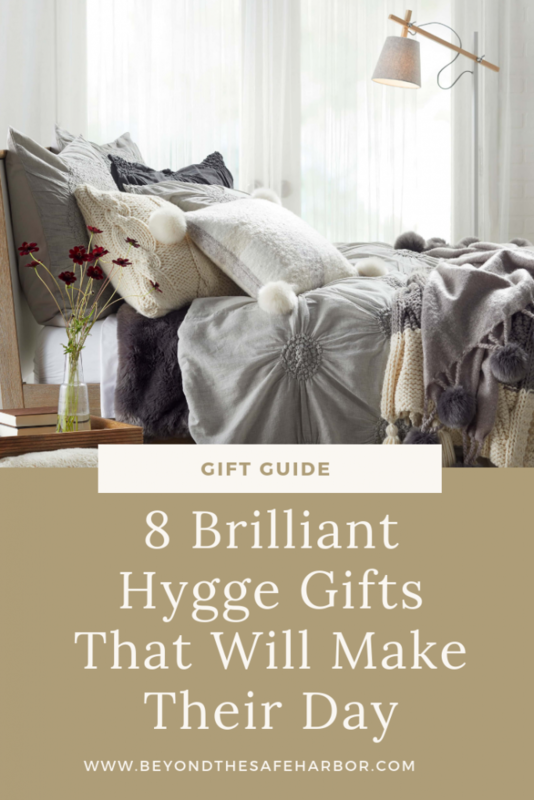 There you go – 8 fabulous hygge-inspired gifts! Which one is your favourite? And would you treat yourself to any of these? Let me know in the comments!